This week, Dr. Bill Cooper of the Gessler Clinic discusses common knee and shoulder injuries—and the best options for treatment. William Cooper, D.O. was born in Port Huron, Michigan and moved to Darien, Connecticut during his adolescent years until he graduated high school. He then enlisted in the US Navy as a Hospital Corpsman for 6 years and completed his undergraduate degree while attending 11 different colleges. Following his commitment in the Navy, he was accepted at Nova Southeastern University College of Osteopathic Medicine and was awarded a full scholarship from the U.S. Army. He went on to complete his orthopedic surgery residency at William Beaumont Army Medical Center and Texas Tech University in El Paso, Texas. Dr. Cooper fulfilled his obligations with the Army while assigned at Fort Belvoir in Virginia. While in the Army, Dr. Cooper was deployed to Afghanistan attached to a small forward surgical team supporting Operation Enduring Freedom. He was also privileged to serve as an orthopedic surgery consultant to The White House from 2011-2015. Dr. Cooper provides compassionate, evidence based care of orthopedic conditions and injuries in patients of all age groups. 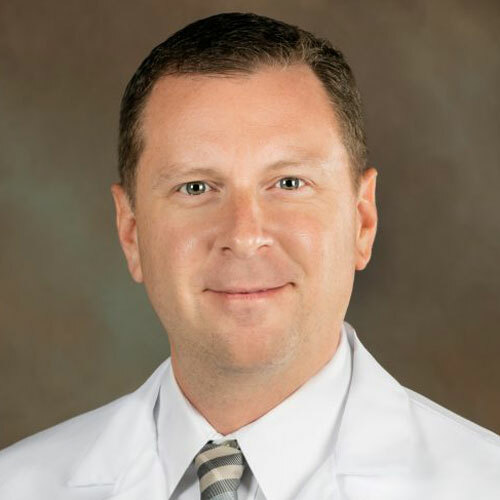 His areas of expertise and interest cover multiple facets within orthopedic surgery. He is skilled in minimally invasive anterior hip replacements and partial knee replacements as well as more traditional total hip and knee replacements. Dr. Cooper also has extensive experience in arthroscopic management of sports injuries of the knee and shoulder such as ligament reconstruction, rotator cuff repair and stabilizations of shoulder instability. His military background and training has also given him significant experience in fracture management and traumatic injuries. He is also competent in hand conditions such as carpal tunnel syndrome and trigger finger. Dr. Cooper is welcoming new patients.